I ambitiously began a series I called ‘Master Manipulators’, profiling characters who fit this category in their respective worlds, tweaking circumstances and their peers to fit, more often than not, some hidden agenda. The object of this was to give readers a chance to objectively view their strengths and weaknesses and then, perhaps, judge for themselves as to who would win a throw-down between them. A specialised Suvudu cage match, as it were, where the cage would be the known world, or as much of it as they might be able to influence. I profiled the most obvious candidate first, Petyr Baelish from Martin’s A Song of Ice and Fire books. Today, I’ll present the vital stats of Master Manipulator #2: Albus Percival Wulfric Brian Dumbledore. Age and experience: Besides Nicholas Flamel, Dumbledore is easily the oldest person, with the most extensive career, that we meet in the series. The full range of his achievements is hinted at in the first book, and by the time we reach the seventh, they’ve only been substantiated. 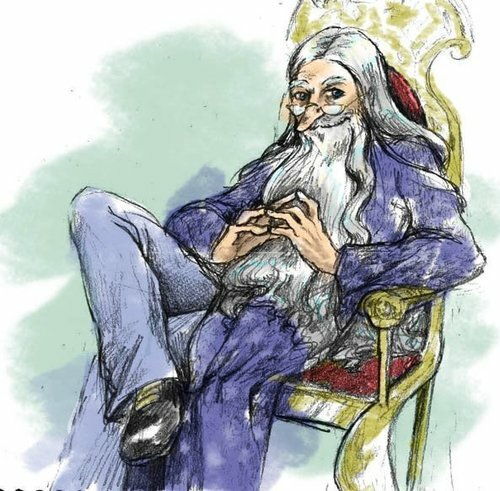 Dumbledore was around 115-116 when he died, and has dabbled with all kinds of magic (both light and dark, one would imagine), so he brings considerably experience, whether of people or technique, to bear on any situation. Extensive political reach: Dumbledore is a mover and shaker despite being Headmaster of a school. He sits on councils, he has a hand in the government through his influence on Cornelius Fudge (supposedly he was sending Dumbledore constant owls at one point, soliciting his advice) and was even offered the top position himself. Yes, he gets painted as a liar and a madman at one point in the series, but the fact that the government bothers to do this at all shows how terrified they are of him and his influence. 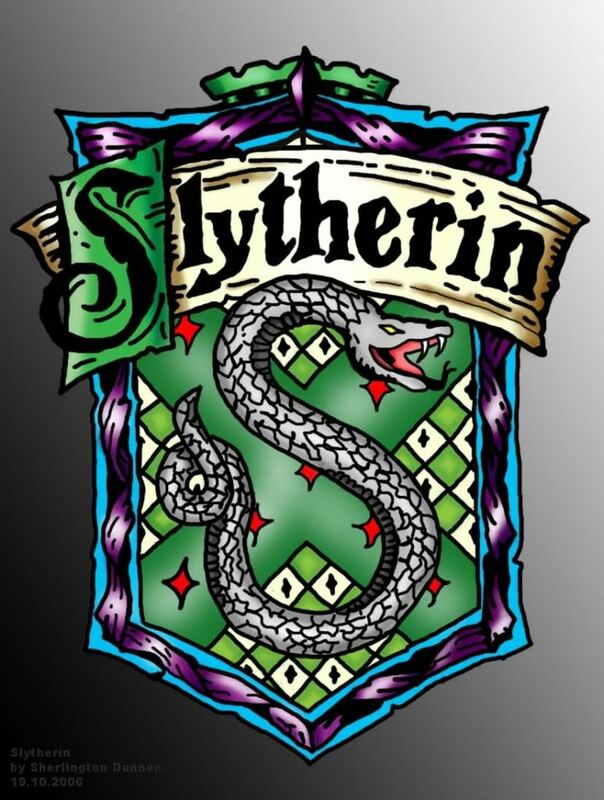 Kindly old man persona: The other manipulators (Baelish and his fellows) have one major drawback, and that’s that no one really trusts them implicitly, the way people in the Potterverse trust Dumbledore. As long as he is around, they feel, things will turn out all right. ‘Dumbledore trusts him, and I trust Dumbledore’ is the reasoning much of the Order has for trusting Snape; his arrival at the Ministry makes everything magically all right that night in Order of the Phoenix; Harry’s response to Hermione’s worry in Half Blood Prince is ‘I’ll be fine. I’ll be with Dumbledore.’ He provides a steady, anchoring presence in Hogwarts, at least for the ‘right’ students, inspiring them to follow him. Because of this, most people don’t even realize when they’re being manipulated, except, of course, for poor old Snape. Emotional attachment: I’m rather sceptical about this professed weakness. Dumbledore tearfully confesses to Harry in Order that he ‘cared’ too much for him to place the burden of the prophecy on his young shoulders. 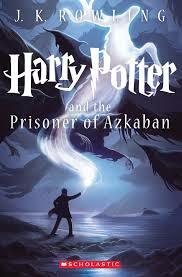 He distances himself from his protege in order to better protect him from Voldemort. He refuses to explain things to Harry, a decision that results in Sirius’s death and major emotional turmoil for our hero. Dumbledore’s plan almost goes awry before the Horcruxes are even introduced, let alone destroyed; Harry could have died countless times during that ill-advised rescue mission. a) Snape would linger long enough to tell Harry the truth of the last Horcrux (which honestly was rather presumptuous, considering it was a goddamn war and Snape, as a ‘traitor’ to the Order, would have been high on everyone’s hit-list. This begs the question of how competent Dumbledore thought his own Order members were. Did he not think any of them capable of vengeance?). c) That Snape was probably the only person who would not get too emotionally overhauled by the revelation and withhold it in a mad desire to protect Harry. Dumbledore made these assumptions because he is used to being correct, he believes he knows people better than they know themselves. 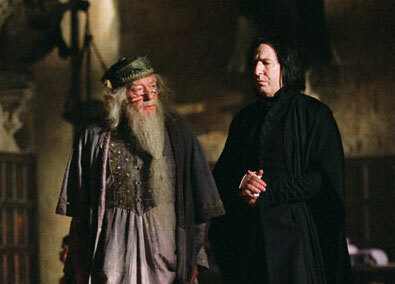 ‘I am a great deal…cleverer than you,’ he tells Harry rather snappily,when pressed for the reason why he trusts Snape. Dumbledore never believes he has to explain himself except in cases of utmost distress (notably in that office scene in Order and during his King’s Cross walk with Harry in Deathly Hallows), but this sort of overweening pride could easily have caught up with him and tripped him spectacularly in a more realistic, less kid-friendly universe. I think this is a serious blind spot that Dumbledore really needs to watch out for. His pride, in some instances, makes him as bad as Voldemort. Need for ‘moral’ backing: Dumbledore’s teenage insecurities made him such a mess that he refused to step in while Grindelwald ravaged Europe. He waited years to make his move, too terrified to hear that he might have killed his own sister. I find this a really crippling weakness; Dumbledore gave his enemy leeway to destroy both him and the lives of countless others. In this instance, Dumbledore betrayed stupidity: even if he did tell him that Dumbledore was the one who cast the final, fatal spell on Ariana, what reason did Grindelwald have to tell him the truth? If Grindelwald were any kind of villain worth his salt, wouldn’t he lie if he knew it would throw Dumbledore off his game? Dumbledore’s need to be morally in the right puts him at a severe disadvantage when battling masters like Littlefinger. I understand that good deal of this is because he is in a young adult/children’s series, and needs to stand in moral opposition to Voldemort, but since he’s proven he is not afraid to get his hands dirty in other ways—such as by ruthlessly manipulating Snape or lying all his life to Harry—this one scruple makes him seem ridiculous rather than admirable. Conclusion: If it came down to sheer firepower, Dumbledore has it all. Magic is a great asset. But if you threw Dumbledore and Littlefinger on opposite sides of a chessboard stacked with real people, placed some ‘sympathetic’ figures on Dumbledore’s side and then asked them to play, I think poor old Albus would have a tough time seeing the bigger picture for the tears in his eyes. It’s always amusing when a character changes (and sometimes, for the better) in the transition from book to film. This holds for Arwen from The Lord of the Rings, Andy Sachs in The Devil Wears Prada and Robb in A Game of Thrones. Actors bring with them an interpretation that you as a reader had never considered, and often do more than their fair bit in cementing a character’s popularity within the fandom. But what happens when an actor’s rendition of a character is so good, so much classier than how he is presented onscreen (in-book, if you will) that he ends up eclipsing the ‘canonical’ version? I’ve never been a fan of Severus Snape. I was in no hurry to find out which side his ‘true allegiance’ lay with, I didn’t particularly care why he had switched sides at all, and I didn’t think the grand revelations at the close were all that grand. Nor do I think the fact that he was in ‘love’ with Lily Evans excuses any of his behavior. Consequently, I find the popular urge to view him as some kind of martyr or tragic hero rather perplexing. 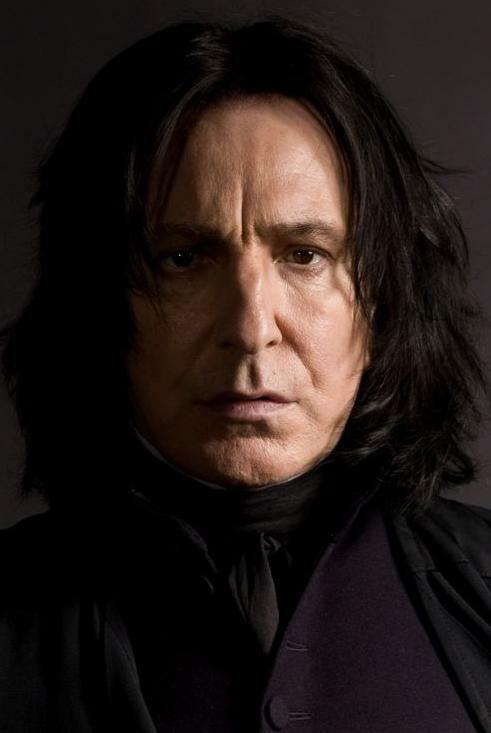 In the books, Severus Snape is a nasty, greasy, rather out-of-control bully. In the films however, Alan Rickman transformed him into a smooth-talking, dour presence. A lot of Snape’s more manic and truly alarming moments are smoothed over by Rickman’s portrayal. One example I can recall is in Prisoner of Azkaban, where Snape gets truly alarming when presented with the Marauder’s Map. 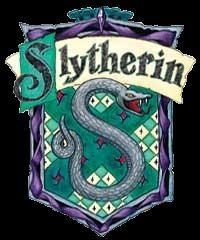 He rages at Harry, ‘baring’ his teeth at him and even acting extremely rude to Lupin when he is summoned. In the movie, Rickman played a far more in-control character, drawling his questions at Harry rather than biting them off in a rage. I will accept that a great deal of the ‘tragic romantic hero’ tag is due to Rickman’s depiction of the character. Indeed, I think Rowling herself allowed his portrayal to influence Snape’s presentation in the later books. From a yellow-toothed, greasy haired professor he becomes something of a suave intellectual, most notably in the scene in Half-Blood Prince where he serves the aristocratic Narcissa Malfoy elf-made wine and discourses smoothly with Bellatrix on the nuances of his double-agent role. The precariously held together Snape from Prisoner of Azkaban, whose hatred of Lupin was so obvious to Harry, seems to have undergone a sea change here. And, superficial as it is, Rickman’s handsomeness no doubt played a role in people warming to him. In the books, Snape is far from good-looking after all. Now, to examine a claim that Harry makes at the close of Deathly Hallows, that Snape was ‘the bravest man [he] knew’. I think this was a completely uncalled for statement, one that has little evidence supporting it in the books and, to be completely honest, paints a far more heroic picture of Snape than he really deserves. I’ve always found it’s easier to go over things point-wise. It makes the otherwise hard-to-navigate skeins of emotion so much easier to decipher. So here, let’s examine Snape’s achievements, whatever we know of them, and see whether or not Harry’s naming a son after him (and not, say, Hagrid or Remus or even Arthur Weasley) is justified at all. 1) Snape was a double-agent for the entirety of the Second War, and for about one year of the First (give or take six months). He made this switch from Voldemort’s side not because of principles but because he was sort of blackmailed into it by Dumbledore. When he begs the Headmaster to keep Lily safe, Dumbledore asks him point blank what he will ‘give [him] in return’. In response to this, Snape rather dramatically declares, ‘Anything!’ Note that the spying role was, therefore, something that was extracted out of him by a master manipulator rather than something he came up with and offered on his own. 2) Now let’s examine that role. What exactly did Snape’s spying accomplish? From what I can see, it did a hell of a lot more to further Voldemort’s cause than the Order’s. He fails to suitably control the Carrows in Hogwarts, allowing them to go ahead and use Cruciatus and other torture on the students. He gives Voldemort the correct date for the removal of Harry from Privet Drive, countering Yaxley’s (mis)information that he will be moved on the thirtieth of July, the day before Harry turns seventeen. Snape, at the meeting in Malfoy Manor described in the first chapter (The Dark Lord Ascending) says that he will be moved ‘the Saturday next’, a much closer date. And since ‘days’ pass at the Burrow before Harry’s birthday, we can assume that he was indeed moved well before the 30th and that, therefore, Snape probably was the one who gave Voldemort the correct information. 3) Speaking of which, where on earth did he get this info from? Mundungus? 4) Snape apparently did ‘all’ he did because of his love for Lily. He makes this obvious in that memorable scene where he conjures a doe Patronus and intones, heart-wrenchingly, ‘Always’. But, I have to ask, what was this ‘all’? Did he help the Order make any moves that completely foiled a Death Eater plan? Did he give Dumbledore vital information that brought about the defeat of Voldemort? From what I can see, it was the Horcruxes that played the real role in ending the Dark Lord’s reign, and Snape did not contribute to any of those famous memories. 5) Snape’s greatest achievements in the series were to protect Harry during that Quidditch match in his first year (when Quirrell was jinxing him), place the Sword of Gryffindor rather inconveniently in the pool (yes, yes, it had to be retrieved in circumstances that required ‘bravery’, and how was Snape to know that Harry, like a complete idiot, would jump into the water wearing cursed jewelry) and finally, to pass on the memory that Harry had to die in order to defeat Voldemort. These are important acts, sure, but enough to exonerate him for all the crappy things he’d done to Harry and company before the epiphanies in The Prince’s Tale? I find it extremely odd that people dismiss James as a bully but rarely pay attention to Snape’s own talents in this area. I would put this down to the common tendency to sympathize with the underdog (after all, Snape didn’t have the best childhood while James, we’re fairly sure, was loved and pampered), but the problem is, this particular underdog doesn’t learn from his own past—he inflicts the same sort of injuries on underdogs in his turn. The manner in which he treats Neville, for instance, or Harry and Hermione, is quite disgraceful and it’s a wonder that he remained a teacher at all. If it weren’t for the fact that Dumbledore wanted to keep an eye on him, I’m pretty sure he would have been sacked. a) Snape would linger long enough to tell Harry this (which honestly was rather presumptuous, considering it was a goddamn war and Snape, as a ‘traitor’ to the Order, would have been high on everyone’s hit-list. This begs the question of how competent Dumbledore thought his own Order members were. Did he not think any of them capable of vengeance?). That last point is very, very telling. Obviously Snape, for all his vaunted love for Lily, didn’t care enough about her son for this truth to throw him completely off his game. He even tells Dumbledore this: ‘For him?’ he sneers. I find it incredible that Harry, who saw this in a memory, still thinks he should honour a man who blatantly told someone else that he didn’t give a damn about him. I find it alarming that he would excuse Snape’s past behavior based on this one revelation about teenage love. Even this love seems strangely wrong, since Snape is described as looking ‘greedily’ at Lily, a rather disturbing image and not one that really evokes the sense of tragic romance that everyone seems to insist on wreathing around the pair. You could accuse me of being partisan, I guess. I do love the Marauders, I do love James and Sirius, so perhaps it’s only natural that I dislike their schoolyard enemy. The thing is, I don’t see why people should pardon Snape all his offences, when they are so quick to call out people like James or Sirius or even Percy for the same things. 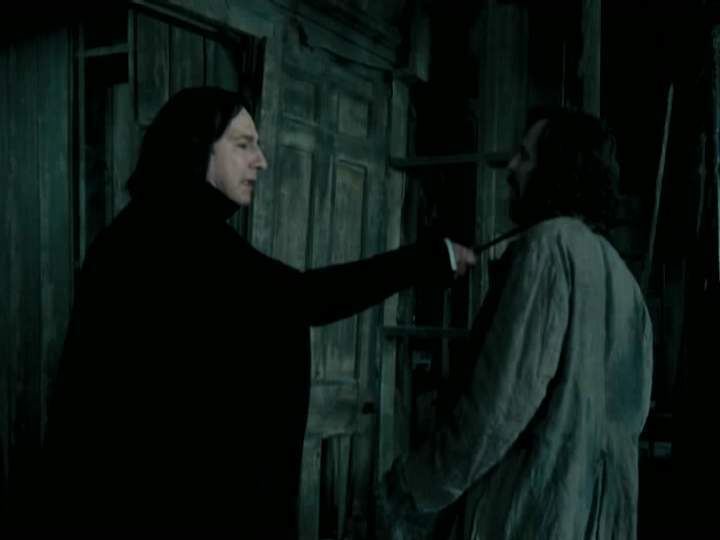 James and Sirius were bullies—we remember that and we deplore it, but does anyone say the same of Snape? Percy sold out his family and followed his ambition, but then came back in regret—so he remains the most disliked Weasley sibling. Percy, arguably, saw the error of his ways and hence returned to the fold. Snape? Came out of a strange sort of ‘love’ that was ready to accept the death of Lily’s husband and child as a natural price to pay for her. 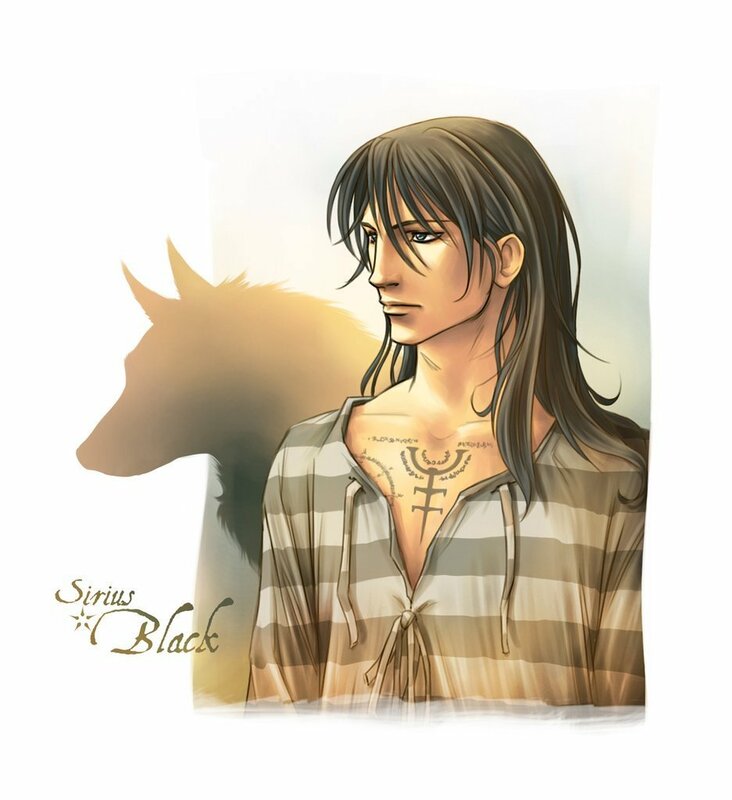 Snape is interesting, Snape is important in illustrating certain moral dilemmas, and perhaps in a weird way he is admirable (he does remain faithful to an ideal, however twisted that devotion is). But is he worth the blind adulation and ready forgiveness so many people seem to extend him? In my opinion, hell no. Alan Rickman, I sincerely believe that we owe the deification of this character to you. For that alone, congratulations. It says something about an actor when he can manage to overturn six years of canon with one amazing utterance, Always.